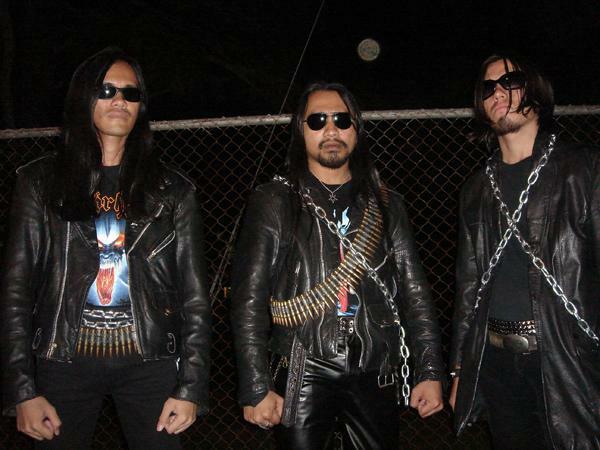 Black Metal hatred and desecration started by V666, Sidapa, and Royce in the Phillipines by the name Deifago. This was the first black metal band on Filipino territory. Several demos were put out in the early 90's, some never printed, until 1998 when the band went on hiatus. It was 6 years, 6 months, and 6 days until the band began their reformation. Signing with Morbid Moon and acquiring Mortigor's drummer, as well as moving to Costa Rica, brought the band to a new level of brutality. Comparable to Canada's REVENGE, "Satanik Eon" was a full-length of striking attack on Norsk clones and weak melodic metal. The album (both in LP and CD) was released by Morbid Moon Records (Canada). Their second full-length is to come out later this year, 'Filipino Antichrist'. Wargoat Records will be putting out a split 7" (500 copies) in August 07 with Vancouver, Canada black/death metal vengeance SHORES OF TUNDRA (Vancouver, Canada black/death metal). Warhammer Productions will be putting out a split CD with DEIPHAGO and Vancouver, Canada war/black maniacs NECROHOLOCAUST!